I am definitely sad to hear that. No winter would be a terrible thing (at least in my book). I've tried to raise a total of 5 plants. All but one hardy specimen have died. Topic: INFP - a dog person or a cat person? Re: INFP - a dog person or a cat person? Nomorenames wrote: That is such a great movie! Oh man! Apparently I am more feminine than 86% of the other people who took that test. Darn gender stereotypes. Well, I'm glad that you've made an effort to fill the INFP void! Thanks for the welcomes. CORGI!! They are the cutest and sweetest dogs in the world. Subjective, yes. But also true. Topic: What is your Enneagram type? Re: What is your Enneagram type? Topic: Which movie did you just see? 127 Hours and Black Swan -- both by far my favorite movies of the past year (although I liked The Social Network a lot too. 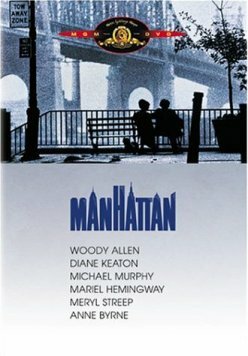 But if we aren't counting new releases, the most recent film I've watched is Woody Allen's Manhattan. After a lot of trial and error, I've narrowed possible career choices down to just three -- epidemiologist, public health journalist, or international aid worker. My first year of college, I "switched" my major four or five times.